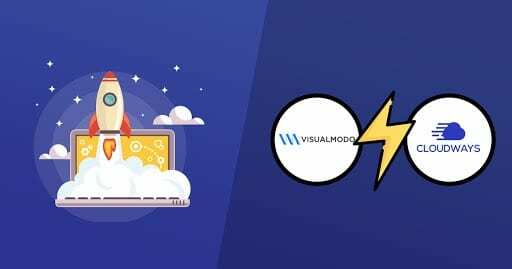 Want to know what happens when Visualmodo joins hands with one of the fastest WordPress hosting providers? Read on to find out. We are living in a fast-paced world. From how we shop to how we consume entertainment, technology has completely changed the way we used to live our lives. As the world around us is moving faster and faster, we as human species are losing our ability to focus for a longer period of time. Recently, Microsoft Corp. conducted a research that showed that people’s attention spans have reduced to a meagre 8 seconds. Shockingly, even a Goldfish has an attention span of 9 seconds. If you are a business in the online landscape, the above statistic should be a revelation for you. In this competitive environment, you need to grab your audience’s attention and you need to do it quick! When a user visits your website, he is attracted by the layout and the aesthetic design of your website. Having said that, he is also unconsciously evaluating the page load time of your website. Faster pages enhance the user’s experience and ensure that your visitors stay for longer. In fact, 40 percent of your website visitors will leave it if it takes more than 3 seconds to load. Also, it’s not just about the user experience. Google – the search engine giant also considers page load times as a key factor when ranking websites. Faster page load times allow search engine crawlers to skim more of your website which positively affects the indexation. 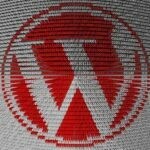 WordPress currently powers more than 31 percent of the entire world wide web. This figure continues to grow with each passing day. If you own one of these websites, you know there is a lot of competition. As an online business, you need to make sure that your website is fast and provides a great user experience. You can do so by reducing cookie size, removing duplicate scripts and optimizing images. Using a Light WordPress Theme. 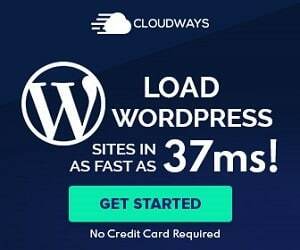 We at Visualmodo decided to try Cloudways managed hosting with one of our themes to test if it improved the website’s page load speed. When combined, the two factors proved to be a heavenly match. Cloudways is one of the leading managed cloud hosting platforms. The company provides managed hosting services to digital agencies, ecommerce stores, startups, developers and bloggers. They serve as an intermediary between the end user and the cloud provider. With more than 60 data centers across the globe, they aim to provide great hosting value to their users. To begin with, you need to create an account with Cloudways. Go to their Signup page and give them your details. After that, you need to log in. Click the ‘Launch Now’ button to launch your server. It will take a few minutes to launch. After you have launched the server, you will get a temporary staging URL to test your WordPress website. Get the URL from the Applications tab from the top. The ability to access your server gives you a sense of control. You can get master credentials from the Server tab at the top. Let’s Start with the Testing! You’re good to go now! Let’s now compare the speeds of a default WordPress theme (Twenty Seventeen) with one of our themes. The idea is to see how Cloudways combined with Visualmodo can produce some great results. Let us first test the speed of our website with the default theme. 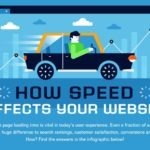 Pingdom is one of the most reliable website speed testing tools. All you have to do is enter the URL and choose location. It will tell you the speed metrics of your website within a few seconds. Let’s enter our staging URL and choose San Francisco as a location as it would be the nearest to Fremont. With the default Twenty Seventeen theme, you get a performance grade of A with a score of 91. The page load time is 420 ms. Spark is Visualmodo’s premium WordPress theme. 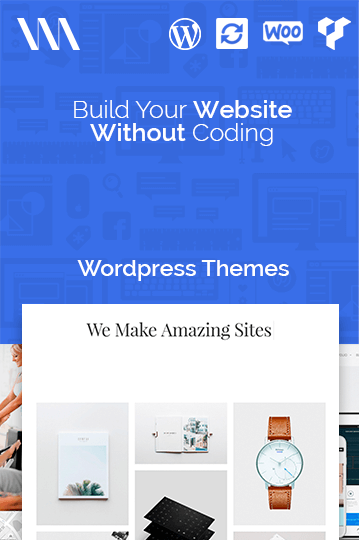 It allows you to build a website without a single line of code. Whether you are a professional blogger or are an ecommerce store, Spark can manage it all. Since it is a premium theme, you will have to buy it. After you have installed the theme, you can easily integrate it. In your WordPress dashboard, select themes from the Appearance section. Click ‘Add New’ and upload the theme. Once uploaded, Spark will appear in your WordPress dashboard. Activate the theme by clicking the ‘Activate’ button. Let’s check if there are any improvements to the website after activating Spark. As you will notice, there is a clear improvement in performance grade with a score of 94. The page load time has also reduced to 416 ms. However, that’s not it! You can further improve the performance of your website with Cloudways. Although there is a considerable gain in website performance with Spark, there is still further room for improvement. Cloudways offers a free WordPress cache plugin to further enhance the performance of a website. By just making a few tweaks in Breeze, you can significantly improve your website’s page load times. You will find the Breeze feature at the top of your dashboard. Hover over it and click ‘Settings’. Also, in the Advanced Options tab, group CSS and JS files. Do not forget to ‘Save Changes’ again. To further improve page load times, we will remove emoji support. We do this by adding a few lines of code at the end of function.php file in the theme code. This will be a good move as most WordPress users do not need it. The results are simply amazing now! The performance grade improves to an almost perfect 99. Each page on the website will take just 146 ms to load. That’s incredible, right? CloudwaysCDN is another website enhancement feature by Cloudways. It adds to the performance of your website. CloudwaysCDN creates a copy of your website and stores it on multiple servers located across the globe. Let’s say you are a user in Tokyo while your server is located in the UK. CloudwaysCDN will fetch data from your nearest location ensuring that your website speed does not take a hit. In the Applications tab in your Cloudways dashboard, select CDN. Here, enter the URL of your website and click ‘Create’. On the next screen, just click ‘Apply’. Finally, go to your WordPress dashboard. In the Settings section, select Breeze. Go to the CDN tab and check ‘Enable’ and ‘Save Changes to activate CloudwaysCDN. Whether you are a professional blogger or a digital agency, you need to ensure that your website is fast. 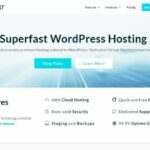 For this, you need to keep two factors in mind: host your website on the fastest WordPress hosting along with a lightweight theme. As we have shown above, Cloudways combined with Visualmodo makes a website lightning fast. Follow the steps and let the magic unfold. Interested? Learn more about Cloudways and try their managed hosting platform! We’d love to hear from you. Let us know your thoughts in the comments’ section below. SEO and Your Law Firm Website: How to Improve It Long TermWhy Using a Responsive WordPress Theme is Crucial for your Site?